Last Thursday, I was honoured to attend the Hyatt Good Taste Chef Competition as a guest judge. 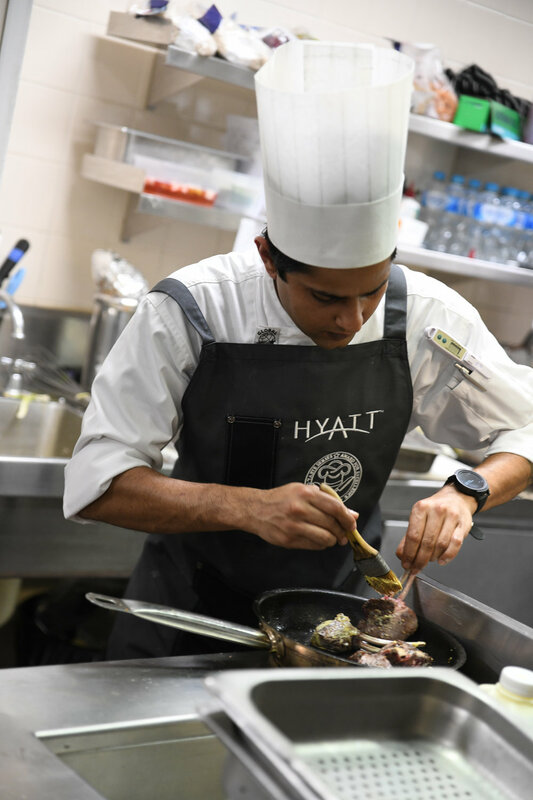 It's the second year this competition has been held and is open to the Hyatt chefs, from Executive Sous Chefs to line cooks. The winner will represent Canberra and compete in Melbourne against colleagues from all Australian Hyatt Kitchens. 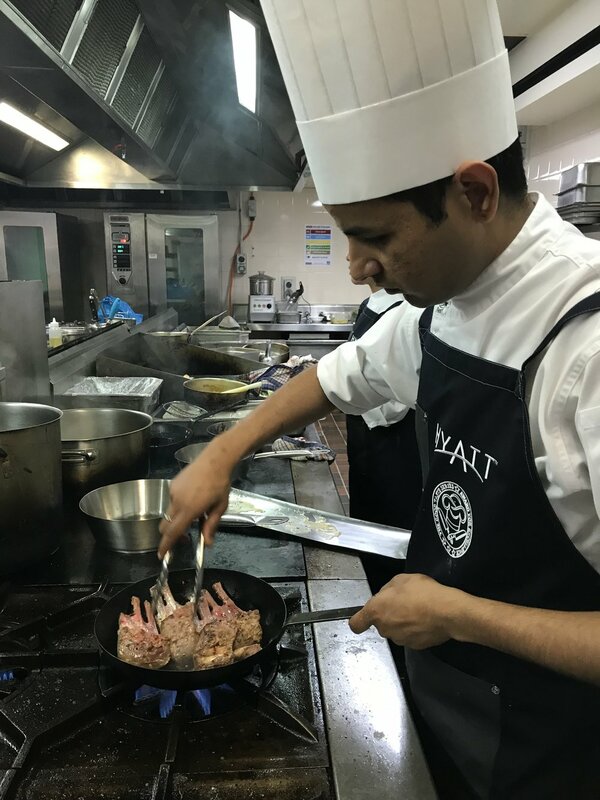 The Australian winner will compete in Hong Kong against colleagues from all Asia Pacific Hyatt Kitchens, for a chance to compete in the Global finals in the US. The competition began at 10am where a mystery box was presented to the six competitors. The ingredients were lamb rack, lamb neck global artichoke, passionfruit, finger lime, scallops and fresh squid. The competitors also had access to other fresh ingredients from the pantry. The competitors had 30 minutes to write recipe cards and their work flow. They then had four hours to prepare, cook and plate two dishes (and entree and a main). All the mystery box ingredients must be present. While we waited for the competitors to finish up, I got a tour of the other Hyatt kitchens. It was awesome to see the pastry kitchen, where all the delicious desserts are made for the famous Hyatt High Teas. 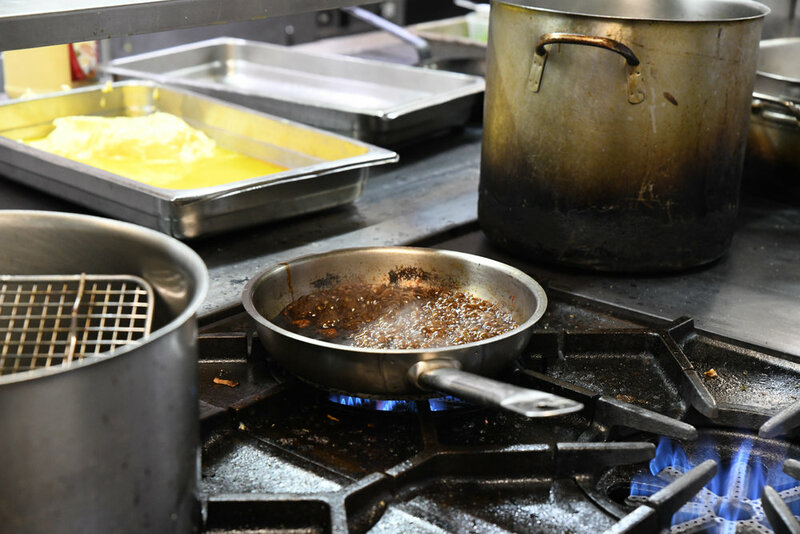 By the time we got back, the competitors were whizzing around the kitchen getting all their components ready for plating. The atmosphere was electric in the final moments. A crowd had gathered and were cheering on all the competitors! And then it was time for judging. The competitors were scored on overall flavour of the dish, presentation and interaction with judges and guests about their dishes. 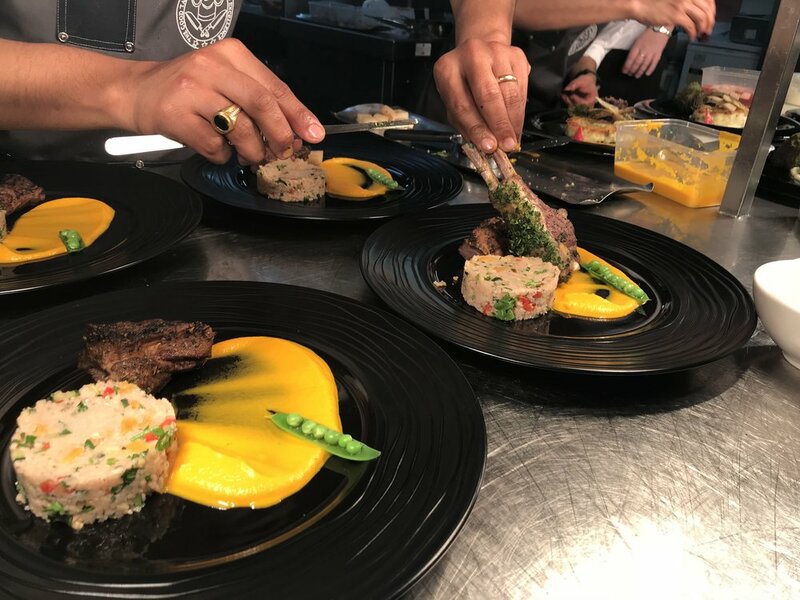 Pretty much all of the competitors opted to use the seafood ingredients for their entree and to use the lamb elements for their main. For me, I looked for how well the proteins were cooked, whether they had flavour, and whether the overall flavours worked well together. I also paid attention to how the mystery box ingredients were used. In terms of presentation, I scored highly for those that had creative plating using ingredients to produce different textures. After tallying the scores, Chef Virender Bisht was announced the winner of competition! I wish Chef Virender Bisht all the best at the upcoming competitions. 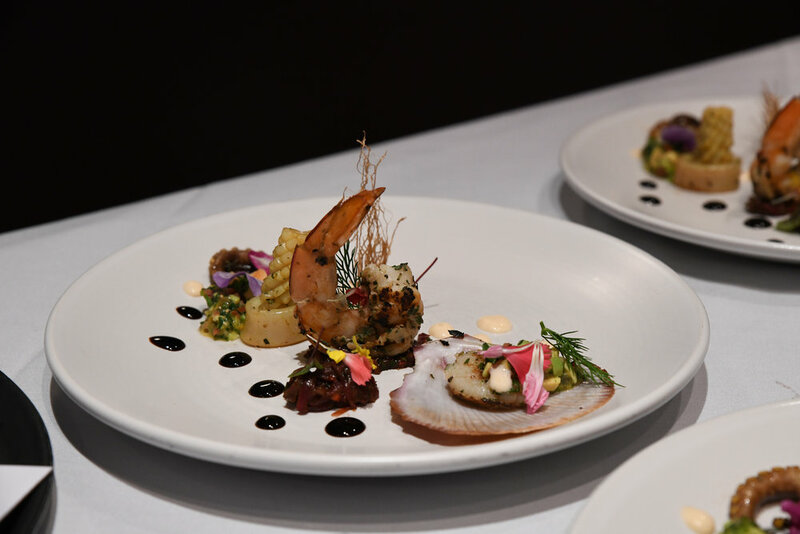 Thanks again to Hyatt Canberra for inviting me to participate in this year’s Hyatt Good Taste Chef Competition! Image supplied: me with the competitors and my fellow judges!